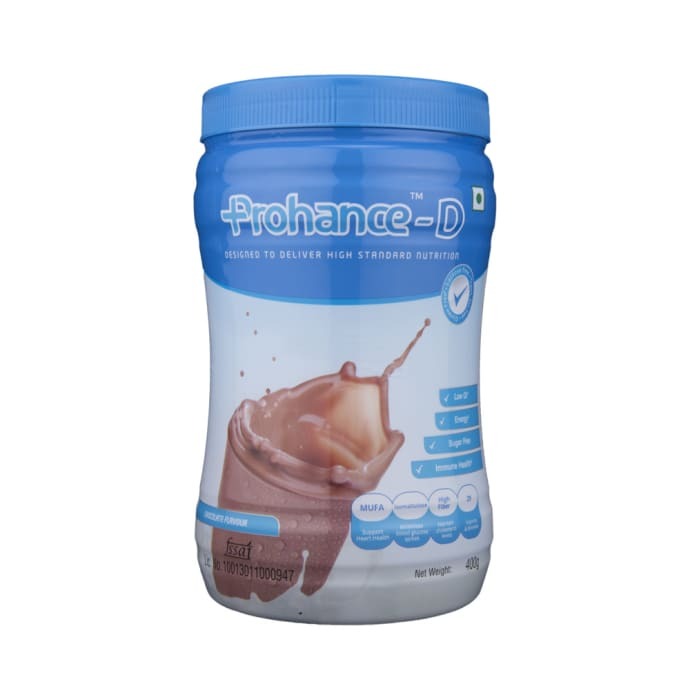 Prohance -D Powder contains ingredients that helps to body to repair and regain the energy and the tissues and help to build them. Helps to improve general body health, the growth of body, good transmission of nerve impulses, hormone balance and increases muscle strength. Take 50 gm daily or as per requirement. A licensed pharmacy from your nearest location will deliver Prohance -D Powder Chocolate. Once the pharmacy accepts your order, the details of the pharmacy will be shared with you. Acceptance of your order is based on the validity of your prescription and the availability of this medicine.